With Stephen Curry lighting up the NBA with his surreal playmaking ability, it is almost unfathomable to envision him having an athletic career away from the family trade on the basketball court. 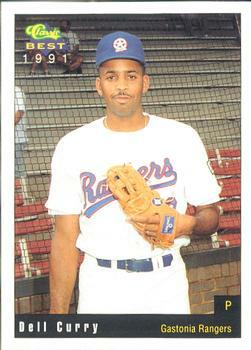 Yet his father Dell Curry, who enjoyed a 16-year NBA odyssey, almost shifted the Curry legacy from the hardwood to hardball a quarter-century earlier in 1991 when he suited up for the Class-A Gastonia Rangers. 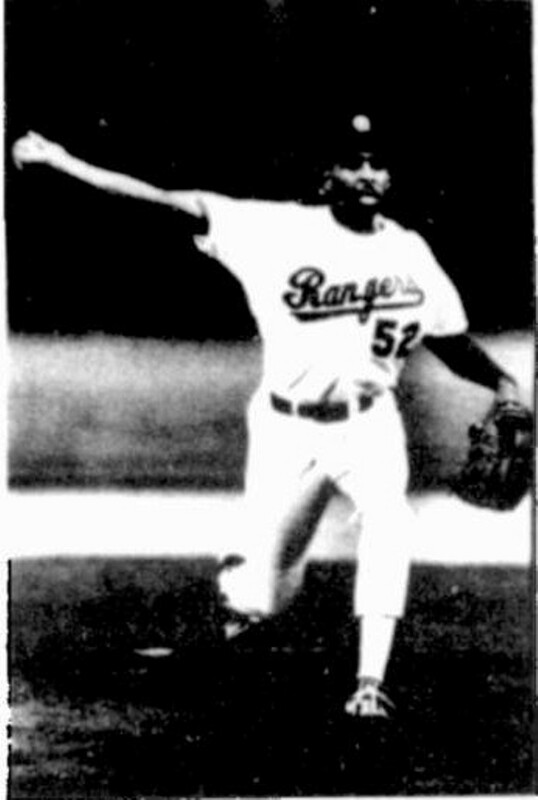 The elder Curry was drafted as a right-handed pitcher twice by major league franchises, first by the Texas Rangers in the 37th round of the 1982 MLB Draft, and then again in the 14th round of the 1985 MLB Draft by the Baltimore Orioles after posting a 6–1 record at Virginia Tech during his junior year. The latter was made even more impressive as Curry did not play baseball during his first two years in college. Curry and Charlotte Hornets teammate Muggsy Bogues were selected by George Shinn, who owned both the Hornets and the Gastonia farm club, to sign one-day minor league contracts to suit up for an official minor league baseball game. As one Gastonia player recalled, their presence gave a much-needed shot in the arm for attendance that evening. The 46-year-old Dreyer, who is now teaching elementary physical education after playing two seasons in the majors with the Rangers, recalled how Stephen Curry’s recent performance gave him the opportunity to share with his students his role in the events that allowed Dell Curry to have a roster spot on June 21, 1991. “I was just talking to some of my students about this the other day because Steph Curry is doing so well,” he said. “It was really exciting for us as players because at the time Dell and Muggsy were NBA stars, and just to be around that atmosphere was a lot of fun for us. Another teammate who had a bird’s eye view of Curry on the mound was fellow pitcher Terry Burrows. The lefty was in his second season in professional baseball and thought that the basketball players taking the field was just another of the myriad of promotions during the course of a minor league baseball season. Once the 6’4” Curry hit the mound and started to throw strikes, Burrows quickly changed his tune. After watching Curry strike out four batters in three innings, Burrows saw why two separate organizations were convinced that Curry had a future in professional baseball. Curry wasn’t the only NBA player that Burrows crossed paths with on the diamond. In 1994, while a member of the Texas Rangers, Burrows watched attentively as Michael Jordan made his official spring training debut against their club. Based upon his observations of watching both Curry and Jordan try their hand at baseball, Burrows felt that Curry was the better prospect. Both Bogues and Curry stuck around long enough with Gastonia to be photographed for inclusion in the team’s minor league baseball card set, further cementing their fleeting moments on the diamond. At the time both hoopsters put their livelihoods in harm’s way at the peak of their respective careers for what amounted to a one day promotional stunt. It is a feat that Dreyer feels is unlikely to be repeated.